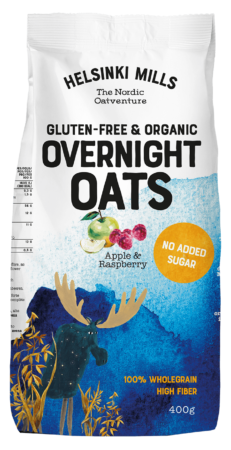 Helsinki Mills Overnight Oats is an easy way to get all the healthy properties of oats – 100 % wholegrain, vegan, high fiber, lots of vitamins and antioxidants. It has no added sugar or additives, it is a perfect breakfast or a healthy snack to keep hunger away for long. 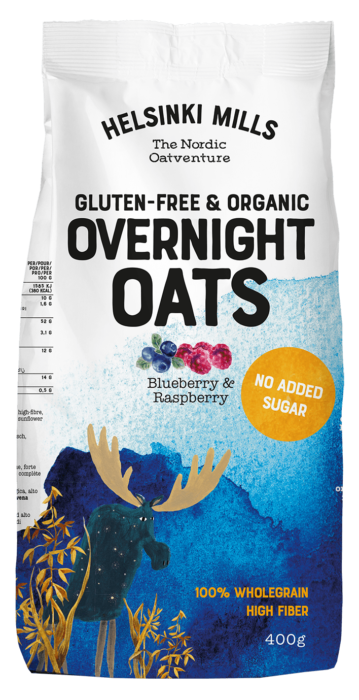 Overnight Oats Blueberry & Raspberry is made of gluten-free organic Finnish oats, delicious berries and healthy seeds. 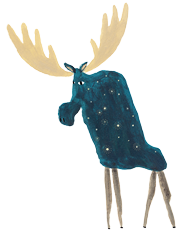 Have a taste and be surprised! 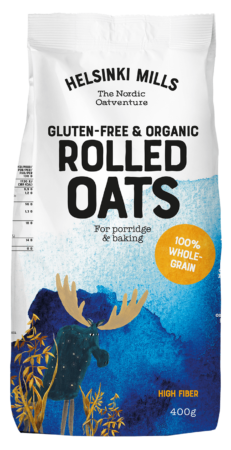 Organic gluten-free wholegrain oatflake, organic sunflower seed, organic blueberry, organic raspberry. Contains naturally occurring sugars.